He looks kinda cute as a bum, don't you think, Minka? Don't be fooled by the rocks that he's got. He's just a bedraggled bum from the Bronx – in an upcoming movie, that is. Just a few days after the Bronx Bombers celebrated their World Series win in true New York style, Yankees captain Derek Jeter has hung up his pinstripes in favor of a dirty overcoat and paper coffee cup full of loose change. The five-time world champ is playing a fake version of himself in the Will Ferrell movie, "The Other Guys," due out in 2010. The movie, which will star the likes of Mark Wahlberg, Samuel L. Jackson and Eva Mendes, was being filmed yesterday in Coney Island. And those lucky ones who just happened to stop by for a hot dog at Nathan's got treated to a close-up of Jeter. One blushing 18-year-old fan told The New York Post that she just wanted "to kiss him" and that the Yankees shortstop was taller than she thought he'd be. We'd like to know what Minka Kelly has to say about that. In the movie, Wahlberg, a known Red Sox fan, and Ferrell play the roles of cops who spend most of their time behind a desk and get permanent desk assignments after Wahlberg's character fires a round into Jeter's leg after he sees him walking around with a bat. The scene being filmed yesterday at Nathan's is supposed to happen years after the incident, when Jeter, now a silver-haired vagabond, runs into the two cops. Adam McKay, who also directed Ferrell's "Anchorman," is behind the funnyman's new movie. 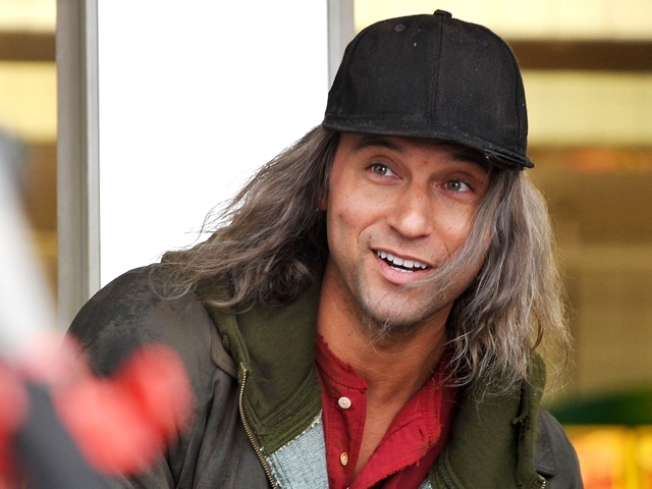 Jeter's no professional actor, but this isn't his first foray into the world of film. He made a cameo appearance in the 2003 movie "Anger Management," starring Adam Sandler and Jack Nicholson," and has appeared several times on "Saturday Night Live."